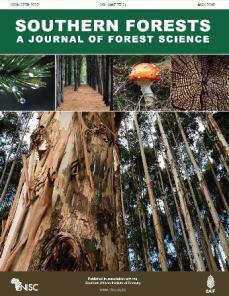 This study aimed to test taper functions and artificial intelligence (AI) models in order to estimate merchantable volumes of Japanese cedar (Cryptomeria japonica) trees in a homogenous plantation in southern Brazil. A total of 30 individuals were rigorously scaled and their total volumes were calculated, including those of the following log assortments: veneer, sawn, pulp and energy. Three AI models, i.e. two variants of k-nearest neighbours (KNN) instance-based classification (one and three nearest neighbours) and an artificial neural network (ANN) approach, were compared with three traditional taper models: fifth-order polynomial, fractional powers and the Garay model. The estimated volumes were compared with the actual volumes by means of the standard error (Syx), bias, precision and accuracy. Total volume estimates proved to be unbiased (maximum bias 5.42%), precise (maximum precision 9.28%) and accurate (maximum accuracy 10.79%) with all of the investigated models. The tested models tended to give lower bias, better precision and accuracy in the middle portion of the stems, but worse estimates at the base and tip (maximum bias −12.41%). In general, the KNN models improved merchantable volume estimation, particularly KNN1, which is a straightforward and simple method. We conclude that AI techniques have appeal for application in forest inventories and that KNN is a particularly interesting alternative for tree volume estimation.